God values justice and righteousness, everything the sovereign and powerful God does is right. Righteousness defines God — He is righteousness, and He is the source of righteousness. In session three we learn that who we are in Christ is based on who Christ is. Jesus reveals and demonstrated God’s righteousness and we are made right with God only through faith in Christ. Receive a new standing of grace with God requires commitment at life’s center and confession of that commitment. This session is a great transition between the first two sessions and the last two sessions of this five part series. It connects the Old Testament revelation of God as Yahweh to God’s revelation of Himself in Christ Jesus, who is indeed our righteousness. 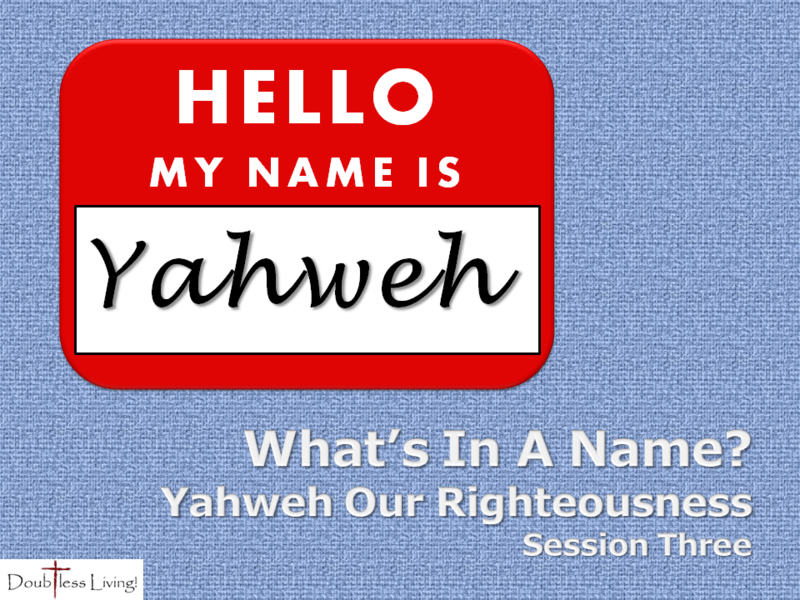 Click here to learn more about the What’s In a Name series or follow this link to get do directly to session three now.